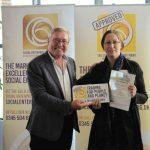 With a background in programme and change management, in 2017 I led the establishment of Investors in People (IIP) as a newly independent Community Interest Company upon its transfer out of the public sector. Motivated by being part of a purpose driven organisation, as Director of People and Business Services at IIP, I spent my time creating the conditions that unleash the potential of IIP’s people to achieve great things for the community. I am passionate about creating the space and support for individuals and teams to achieve their personal goals whilst also striving to attain the organisation’s vision and purpose. I am also a strong advocate of opening up conversations about mental health in the workplace and champions IIP’s commitment to the Time to Change employer pledge.